February 14, 2019: Anthem’s Neill Blomkamp-directed live-action short, Conviction, is live now. 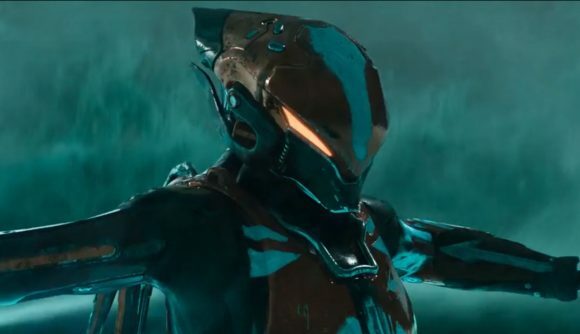 Neill Blomkamp, director of District 9, Chappie, and Elysium, has directed a live-action short for Anthem ahead of the game’s release later this month. A (very brief) teaser for the short, which is titled Conviction, was posted to YouTube yesterday, and you can now check out the entire thing for yourself. The teaser showed off very little – there was a brief look at the world of the game, a shot panning up the legs of a Javelin standing in the rain, and another Javelin seen from underwater. Thankfully, there’s now a little more to take a look at. The video was clearly supposed to offer some historical context for the world, but there’s an awful lot to cover as the trailer flicks between the wider lore of the game and the the action sequences that it promises. If anything, it felt more like a trailer for a high-budget blockbuster film than a videogame-related short, but it’s left me with more questions than answers.